Witchery: "we had our biggest ever sales day online"
This is an exclusive extract from our February edition. To read more in-depth content like this, subscribe here. Paige Murphy talks digital innovation, seasonality and philanthropy with iconic retailer Witchery. A new year has rolled in, but for many the challenges remain the same with some growing in prevalence more than others. It is no secret that traditional brick-and-mortar retailers have felt the sting of the online sphere for quite some time now. Keeping up with digital-born competitors, whilst figuring out the best ways to maintain strong footfall and high conversion rates in-store are key components to ensuring their own survival. At Witchery, 2019 arrives on the back of a booming eCommerce business. Managing director Simon Schofield says 2018 was a strong year for the retailer’s online store, seeing exponential growth and its biggest ever sale day ever during the Vogue Online Shopping Night. “We’re seeing well over 20% growth on the year [online] and it’s contributing to quite a significant share of Witchery now. Schofield says this success will be balanced with a disciplined bricks-and-mortar strategy. “We’re really continuing to do another year of consolidations, I think, with the huge growth of online. “Witchery normally have had a very large store chain and it’s really about a bit of rationalisation, given that slight shift. “[This year is] more about actually consolidating and refurbing some of our then bigger stores, rather than opening more stores. But while it continues to tackle the digital world, Schofield says there is another growing issue that will continue to be faced by retailers in 2019, which will impact both the stock it offers and the sales that are or are not being made. Inconsistent weather, along with an increasing amount of consumers travelling abroad to opposing climates, has made it harder for retailers to stick to the conventions of seasonal dressing. “That switch, you know, managing brick-and-mortar versus digital conundrum and how we all manage that still remains key. “[But] I think the other [challenge] is the real – it’s not gone away this year – consistent seasonality. “Obviously, in New South Wales, we’ve had the hottest April – one of the hottest Aprils on record – last year. “Still trying to sell knitwear and vice versa. It feels like it has only just gotten warm and everyone is putting their shorts into sale. He says that offering consumers versatile pieces is one way to both combat the issue and meet increasing demands for retailers to be more sustainable in their approach. “We are finding more and more people want versatile pieces. They can get longevity out of [pieces] that they can layer in winter and wear separately in summer [and] that they can get a much longer timespan out of. “Having a different attitude particularly if we tie that into sustainability and people not wanting to have so much that they are buying and throwing out or wearing for a short space of time. As versatility and longevity continues to be key for consumers, Schofield says that separates dressing is gaining increasing popularity but dresses do still remain as key performers. “We had some amazing seasons in dresses and shirts, to be honest, which is a category performing exceptionally well. “The real – it’s smaller – but the runaway success would be the move into skirts. “Skirts continue to trend. We had a real fantastic summer season. “So, rolling into 2019 we’re really excited to see that continue particularly into winter with the big trend to wear lofty knits back with skirts and it will be interesting to see if that continues. “I think separates dressing is really bubbling up and so it would be interesting to see what happens to dresses. “[Whether] it becomes more about pairing a top with a skirt or a top with a pant and whether we see slight step back in dresses as a result. Along with these challenges and working with the shift in consumer purchasing, it is also getting ready for its 11th year working with the Ovarian Cancer Research Foundation (OCRF). 2018 was a milestone year with the Power of 10 campaign and its highest ever donation to the cause but also saw the loss of one of its ambassadors to the cancer – something that will drive this year’s campaign message. “Last year was our big year celebrating the 10th anniversary. [This was] really captured with that Power of 10 campaign, 10 shirts, 10 ambassadors – 3 of whom have been affected by the disease. “Sadly, one of those ambassadors has actually passed away from the disease since last year’s campaign, which is obviously very sad but has made us really focus this year on driving home the message about the hard-hitting facts. Still in its planning process before launching in April, this year will focus on opening up the campaign to more people. One way this will be done, Schofield says, is through the introduction of a lower entry-level price point. Shirts will range from $69.95 up to $179.95 for a silk shirt. The decision came about as a way to invite those customers who would like to participate but were not able to stretch to the previous higher prices. Besides its ongoing partnership with OCRF, it is also hoping to recreate the success of last year’s bespoke outfit for model and influencer Rebecca Harding for the Spring Racing Carnival. “We had so much success out of designing a bespoke outfit for Rebecca Harding. “It was featured in most of the best dressed which was very exciting for the brand. Schofield is confident that this year will be another great year for Witchery, with little disruption, a very strong team and some further projects and collaborations on the horizon. Sign-up to receive the daily email newsletter highlighting our best content. 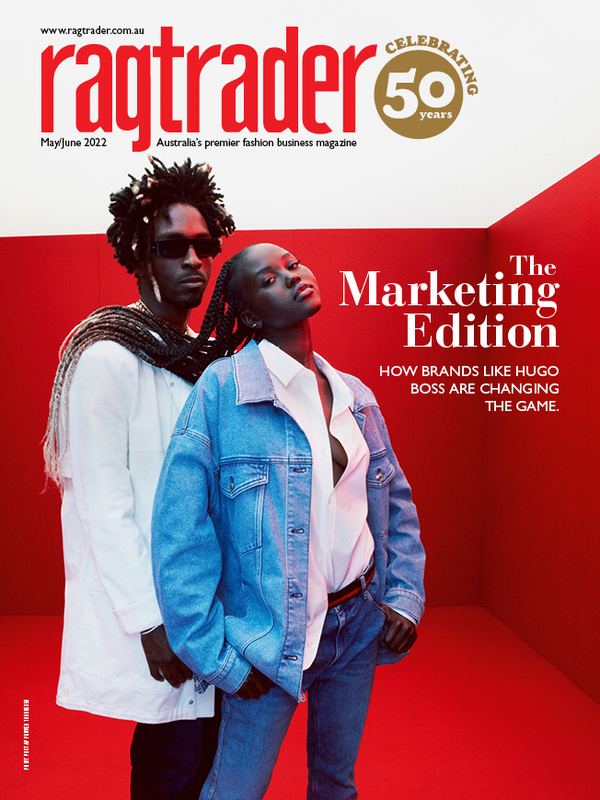 Ragtrader magazine has been providing comprehensive news, analysis and opinion on the Australian clothing, footwear and accessories sector since 1972.